I chose to study psychology at Cardiff Met after attending one of their widening access community courses. Psychology has always fascinated me in its ability to understand why we make certain decisions and how we differ from one another. I recently had the opportunity to volunteer on a mental health placement with SLV.Global in Sri Lanka as part of my 2nd year work and volunteering placement module (WVAP). 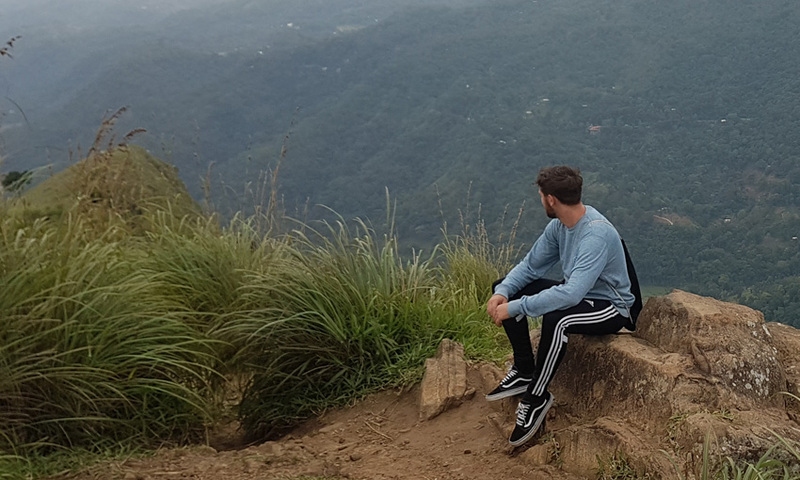 SLV Global offered an experience that I felt was not attainable here in the UK, and I was fully supported by Cardiff Metropolitan University in my decision to travel to Sri Lanka. I was lucky enough to be part of a great group. The entire process is well thought out, from the moment you apply for the placement, to being greeted at Colombo airport and being made to feel welcome as a member of the family in the homestay which was to be home for the next five weeks. 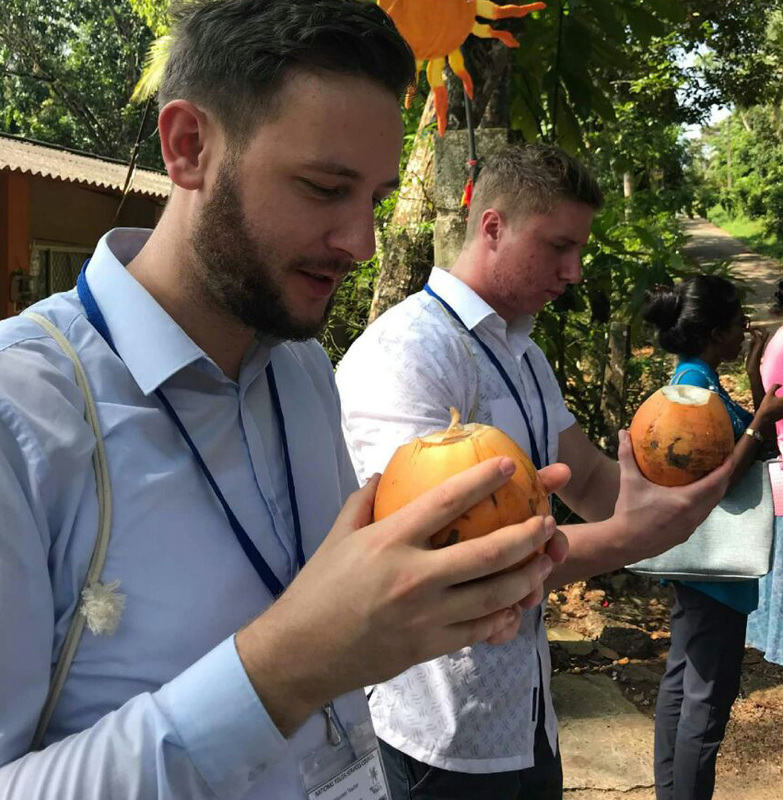 From day one you find yourself immersed into the Sri Lankan way of life, meeting and working alongside so many like-minded volunteers who share similar goals and aspirations, which I found motivating. Throughout the week, time was spent volunteering on community projects working to promote the health and wellbeing of service users suffering with an array of complex physical and mental health needs. Whilst challenging and exhausting at times, it was also equally rewarding. During my time spent on placement I was fortunate enough to have had the opportunity to shadow a clinical psychiatrist where I was able to interact with the patients. Many of whom often choose not to seek or delay treatment due to intersection of religious and cultural stigmas surrounding mental illness. Immersing ourselves in the Sri Lankan way of life meant trying lots of new things! The weekends were for exploring. For the first weekend SLV organised an epic jungle adventure which involved white water rafting, rock sliding and a leap of faith into the river, which came as a welcome relief after trekking through the jungle. The weekends adventures thereafter will have lasting memories, from the golden sandy beaches to releasing baby turtles back into the sea and visiting countless temples. The highlight that stands out for me is the famously challenging Adam’s Peak, a mountain ridge that towers above most of Sri Lanka’s hill country. The place has been revered by people of many faiths since ancient times and attracts a solid stream of pilgrims every year. At 3am on boxing day morning, myself and fellow volunteers ascended the 5,200 steps of the trail. We were lured by the promise of the grandiose sunrise awaiting us at the top and were definitely not disappointed! 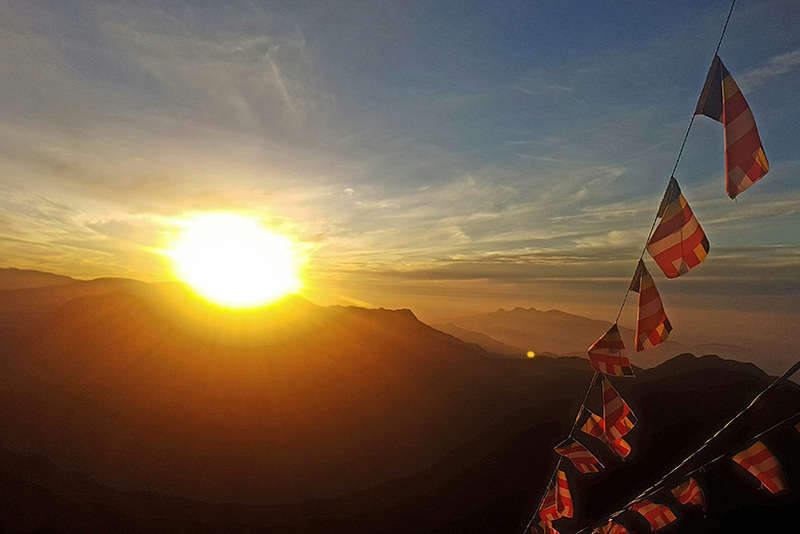 Break of dawn over Sri Pada, more commonly know as Adam’s Peak. My time spent on this teardrop-shaped island inhabited by the most humble and heart-warming people, filled with beauty and diversity was quite possibly the best five weeks of my life. I would highly recommend this to any students thinking about volunteering abroad as part of their psychology degree – the rewards are immense. Not only will it help you develop important skills and great experience for your CV, it also helps you see psychology applied in the real world. Cardiff Met students get lots of opportunities to travel – check out more blogs about studying and working abroad.